Plusliner is a member of the KTB group and deemed as the “King of the Highway” Express. It also ranked within the bracket of pioneers in the bus industry, cruising along major routes for more than a decade, connecting various towns and people. Plusliner is committed to providing a safe and comfortable bus travel experience to all who board their buses. Aside from their vast and high-quality services offered, their staff are well experienced in the field, capable of ensuring their passengers enjoy their bus ride from point of departure to arrival. Their fully-air conditioned fleets are equipped with reclining seats. Comfortable-modern couches with solo and double seats equate to a pleasurable travel experience. Their specially designed coaches meet all safety requirements whilst the decorations reflect a young and vibrant spirit. They cover a substantial amount of routes across Malaysia. 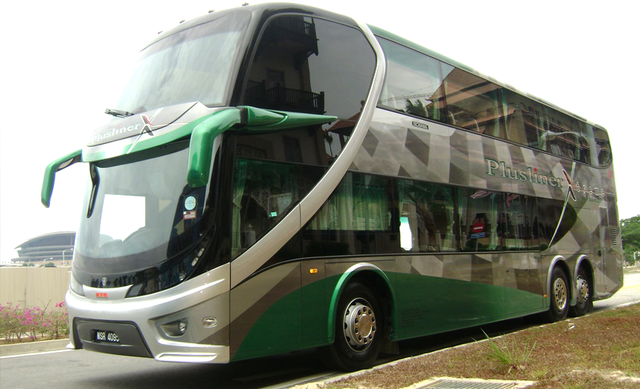 One deserving of an honourable mention is their bus travels from Kuala Lumpur to Ipoh. Their journeys begin with a departure from the well equipped Terminal Bersepadu Selatan followed by an estimated 3-hour ride before alighting their passengers at Terminal Amanjaya, the main bus terminal located in Ipoh. Address: No 38, Wisma Wahida Jalan Chow Kit, 50350 Kuala Lumpur. Kuala Lumpur Stesen Sentral 50470 Kuala Lumpur. Bus travels have moved from physical ticketing counters to online bus bookings. Begin your journey with Plusliner on CatchThatBus - the faster and easier way to a smooth bus travel experience. Visit our website or mobile app on Google Play or App Store and book your bus tickets today!